The trend toward personalization is reshaping the consumer experience—from individualized Nikes to made-for-you Starbucks lattes. Now it’s making its mark on the funeral services industry. “If in this day and age we have so many opportunities to customize, why can’t that also be applied to cremation?” asks Patty Saari, recalling a conversation with her husband, Pete, in 2013 that partly inspired him to start Foreverence a year later. The Eden Prairie, Minnesota, company uses 3D printing technology to create personalized urns. Clients come to Foreverence with their concepts to celebrate a loved one, anything from a Porsche-shaped vessel for an auto enthusiast to a replica of Prince’s Paisley Park estate, which the artist’s family created with Foreverence following his death in 2016. Rising rates of cremation have increased the demand for urns, which have for centuries been a simple box or vase, says Patty Saari, the company’s chief operating officer. According to the Cremation Association of North America, the cremation rate was 50.1 percent in 2016 and is projected to reach 56.3 percent by 2020. But the total market size for urns could be even larger than those figures suggest. It’s not uncommon for a family to buy a Foreverence urn years after a loved one has passed away; meanwhile, about one-third of Foreverence’s customers buy an urn for themselves long before their death, according to Saari. “Many products and services now are being chosen or purchased by folks, especially the boomer population, who are wanting to plan in advance so that their family members don’t have to make these decisions in a time of crisis,” she says. The company uses 3D computer-aided design software and full-color jet printing. Its urns are printed using additive manufacturing technology (producing the urn one layer at a time) with ceramic-based materials. A typical Foreverence urn costs about $2,500, depending on its size and design, approximately the price of an entry-level casket, Saari notes. A conventional urn costs about $300-$500. Foreverence initially expected to sell through funeral professionals, but its growth has largely come from direct-to-consumer sales online. “The e-commerce transformation has disrupted many retail models, and funeral services are no different,” Saari says, adding that the company’s business comes largely through digital marketing and word of mouth. 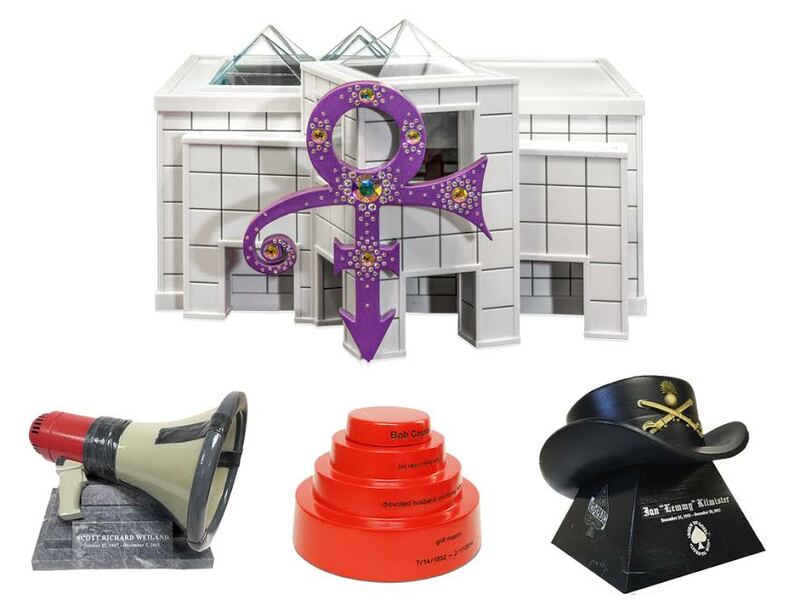 In addition to Prince, the company has created urns for several other high-profile music stars, including Motorhead’s Lemmy Kilmister, Stone Temple Pilots’ Scott Weiland and Devo’s Bob Casale. This edition of Quick Takes originally appeared in the July/August 2018 issue of Middle Market Growth. Find it in the MMG archive. Kathryn Mulligan is the editor of Middle Market Growth.